Jerrod Garrett was named director of Corporate Environmental, Health and Safety (EH&S) in early 2018. In this role, Jerrod has overall responsibility for the company’s safety program, which continues to target a goal of zero incidents among employees, subcontractors and visitors to LeChase jobsites and offices. He leads efforts around policy, training, tracking and reporting and manages a team of regional safety managers across company operations. 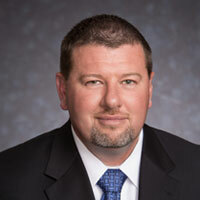 Jerrod came to the company as the regional safety manager for Western New York in 2012, bringing more than 20 years of experience in the field of industrial health and safety. Prior to joining LeChase, he spent ten years in the power/energy industry. This included an assignment as corporate safety director for engineering and construction at a large energy company, where he had EH&S responsibility for $1.6 billion of capital projects at several refineries. Jerrod studied occupational health and safety at Louisiana State University, and in 2016 he earned accreditation from the Board of Certified Safety Professionals as a Certified Health and Safety Technician.